Provides complete protection in a wraparound style. Unique breathable material encourages air flow. 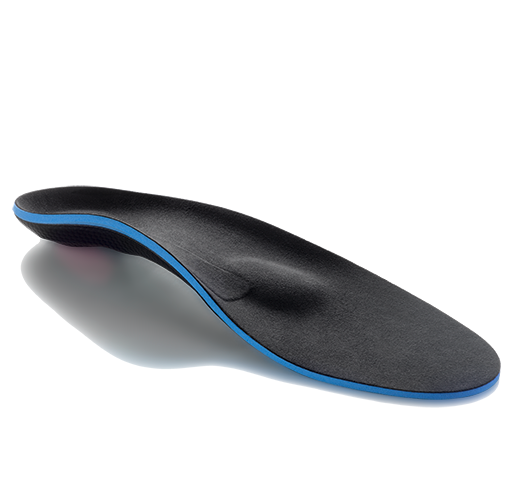 Provides excellent stability for supporting ligaments. Suitable for mild to moderate ACL, PCL and combined ligament injuries. The Donjoy Drytex Playmaker Wraparound Knee Brace is a breathable, easy fitting solution for mild to moderate knee strains and sprains. It is especially well suited for people with a moderate strain of one of the big four: the ACL, PCL, MCL or LCL ligaments. The Drytex Playmaker Wraparound features a better strapping system than most comparable braces thus creating what has been coined as "4-points of leverage" to stabilize your knee more effectively than typical double hinged knee models. 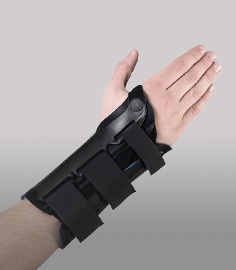 The brace comes with the combined instability (CI) strapping as pictured above to address ACL, PCL, and combined ligament injuries. The unique strapping system provides protection with side to side/pivoting movement while resisting migration down the leg that's common with many braces. The strapping system is designed to stabilize your femur and tibia - important to note if you've suffered an injury to your ACL or suffer from combined instability due multiple ligament tears.  Drytex is a neoprene alternative constructed of a unique nylon/polyester Lycra fabric that allows for improved airflow to keep you cooler in hot humid conditions. The material is soft against the skin while still providing the same protection as the neoprene version. The Donjoy Drytex Playmaker Wraparound knee brace is easy to fit and can be applied faster than the standard pull-up model to swollen knees or after surgery. This model can be used for contact and non-contact sports, or for recovery from many types of knee injuries. 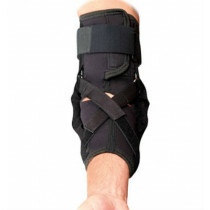 Click Donjoy Drytex Playmaker Knee Sleeve to see the pull-up version of this brace. A more breathable solution to the regular pull-up model. Unique strapping design provides four points of leverage to provide stability for supporting ligaments..
Velcro thigh and lower leg straps for added support. Breathable material is perfect for hot and humid environments. Available in six sizes - please see our sizing chart tab for important measurement instructions. Well suited for rehabilitation and sports participation. 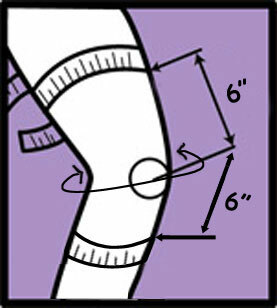 Version: choose none for the standard Donjoy Drytex Playmaker Wraparound knee brace (Closed Pop) with the material left in behind the knee joint or with an "Open Pop" cutout for an oval popliteal cutout behind the knee where the brace material has been removed to enhance overall comfort during deep bending of the knee. This is the more commonly ordered version of the Donjoy Drytex Playmaker Wraparound sleeve variety. Drytex is a breathable polyester based material that allows for air flow and releases moisture build-up for enhanced comfort in hot and humid environments. I suffered a partial ACL tear last year and I got this brace to help prevent my knee from buckling on me. I'm able to get out of cars now and walk more without my knee feeling like its going to give out on my when I wear this knee brace. The drytex material is very lightweight and comfy - it doesn't irritate your skin like neoprene does. The straps also hook onto the hinges differently to cinch up better so your knee feels supported. I''ve been using this now for 3 months and it's been a true god send for me. Thank you! Nice Fit Wraparound Review by Jenny C.
Nice fitting and and easy for me to wrap around my knee for my injury. I've have a bad back for a while from war injuries so when my doctor recommended the DOnjoy Drytex Wraparound hinged knee brace I was glad it cam in a wrap around style that was easier for me to put on. I feel great with it on and it keeps my knee stabile and supported at work. Thank you for making a great brace. Love this drytex wraparound playmaker knee brace - it's easier to apply than the pullup sleeve style.